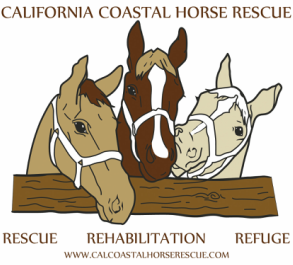 As our network of friends, supporters and donors continues to grow, California Coastal Horse Rescue (CCHR) has developed a special support group called Friends of the Rescue. Friends of the Rescue, or F.O.R. for short, is a growing group of individuals from diverse backgrounds who actively support the work of CCHR. If you believe in and support the work that we do, but don’t have the time or inclination to work with the horses directly, F.O.R. is a way for you to positively show your support. By signing the F.O.R. Support Card, F.O.R. members state their support of CCHR’s mission and act as “ambassadors” for us in their own communities. If you would like to request a F.O.R. CCHR Support Card please click here.